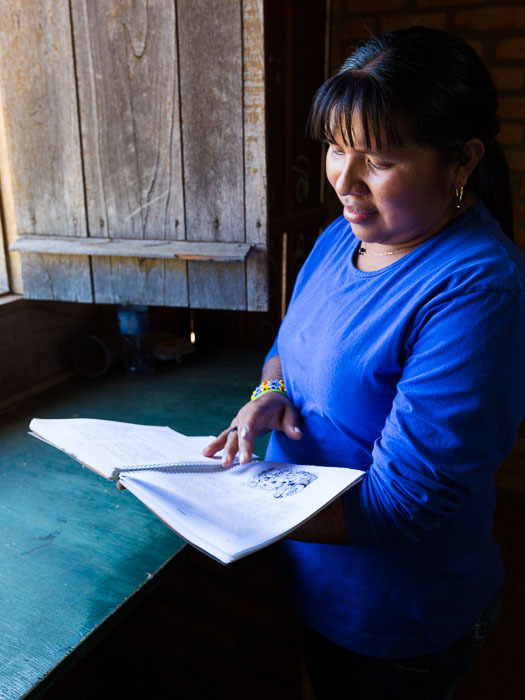 Dina Suruí flips through her booklet of the Gospel of Luke, the only Scripture available in her mother tongue –Suruí. Dina also speaks Portuguese and is a leader in her community having recently been elected to serve on the board of CONPLEI (Brazil’s National Council of Indigenous Evangelical Pastors and Leaders). Dina reflects, “Before I was even born, before I was even in my mum’s belly God chose me. I didn’t know then but I know now that God had something special in mind for me. When I was 12 years old I accepted Jesus as my Saviour. John 3:16 says – God loved the world so that all the world could know life. He sent His son as our only saviour. So from that moment I understood that I am a child of God and I decided that I’m a person who needs to serve Jesus. God is working, and He has a work for me to do.” Read a writer’s personal reflection on the most recent CONPLEI Congress.